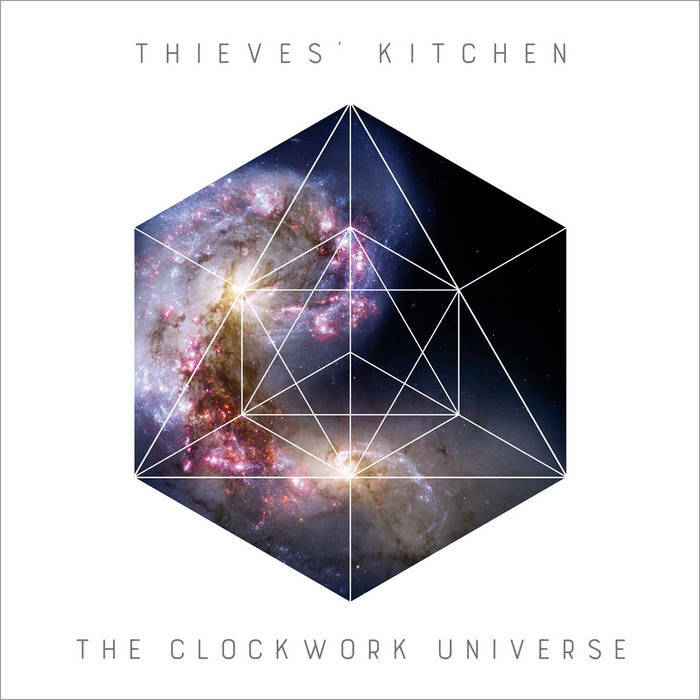 Prog rockers Thieves’ Kitchen hail from the UK and Sweden. Their sixth full-length album, The Clockwork Universe, charts a course through spacetime to a destination somewhere in 1970s Canterbury, UK. The jazz and folk infused style of progressive rock particular to this spacetime neighborhood, rather than being an obsolete relic of the past, still boasts untapped veins of creative gold. Along the journey, we’re treated to a sprawling 20 minute prog epic, as well as a couple instrumental and percussion-less tracks that sound more like contemporary classical chamber music than any kind of rock, prog or otherwise. Though mostly evocative of 70s’ prog, their style bears flourishes reminiscent of modern rock and the good parts of neo-prog. This release isn’t particularly innovative or experimental. It’s not doing anything that hasn’t been at least roughly attempted before. This approach probably works in their favor overall, as their honest and unaffected expression delivers complexity and depth in spades. What this album does, it does very well. The execution of this album is phenomenal, in terms of composition, arrangment, and performance. The airy female vocals work well astride the bombastic organ riffs, angular guitar lines, and ethereal flute melodies, backed up by the computational rhythm section. I find this release sets the galactic gears in motion quite pleasurably. There is music in the spheres indeed.